I received my January Popsugar Must Have box this week! I tried not to look at spoilers, because it seemed to ship earlier than usual this month, so I thought I could just wait and open it as a total surprise. But I kept seeing comments about it being a great box and I just needed to see what was in it, so I peeked. And I couldn't wait to see everything in person. Popsugar Must Have always includes an information card explaining everything in the box. This month's inspirations were Renewal, Organization, Detox, New Year, and Healthy Habits. Popsugar released a spoiler this month. It was the book Spark Joy by Marie Kondo. Retail price $18.99. I was very excited about this book to help me get organized in 2016. I love decorator/organization, type books, so this is something I would have picked up on my own, but I'm always happy to get things I love in subscription boxes. 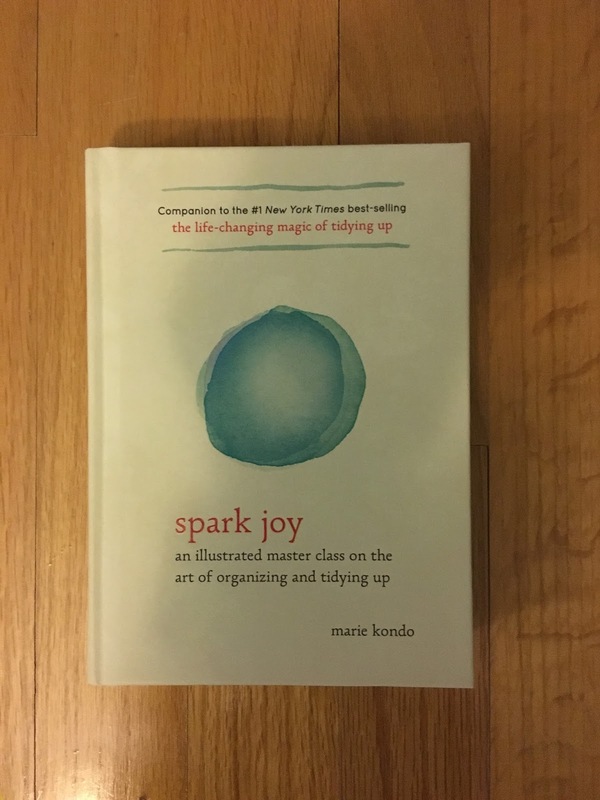 I will definitely be reading this and getting organized! 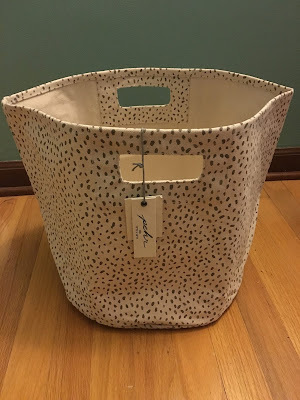 The item I was most excited for was Pehr Designs Pebble Speck Bin. Retail price $40. This was larger (13"D x 12"H) than I expected it to be. The print will go nicely in my bedroom, but I haven't figured out what I will use it for yet. I'm hoping the book will help out with that. The information card suggests using it for hats, scarves, toys, or books. This was my favorite item in the box and I can't wait to figure out a use for it! 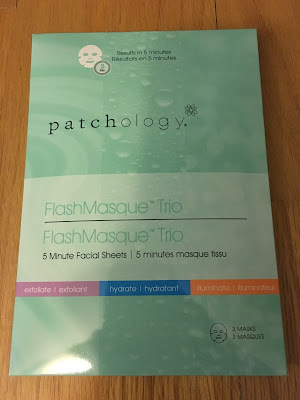 I also received Patchology Flash Masque Trio. Retail price $20. These are 5 minute masks that will revitalize, hydrate, and illuminate your skin. And you don't need to rinse these off. I haven't tried these yet, but I'm looking forward to them. I wasn't too excited about the Blue Sky Day Designer Weekly Planner when I saw it in the spoilers. Retail price $15.99. 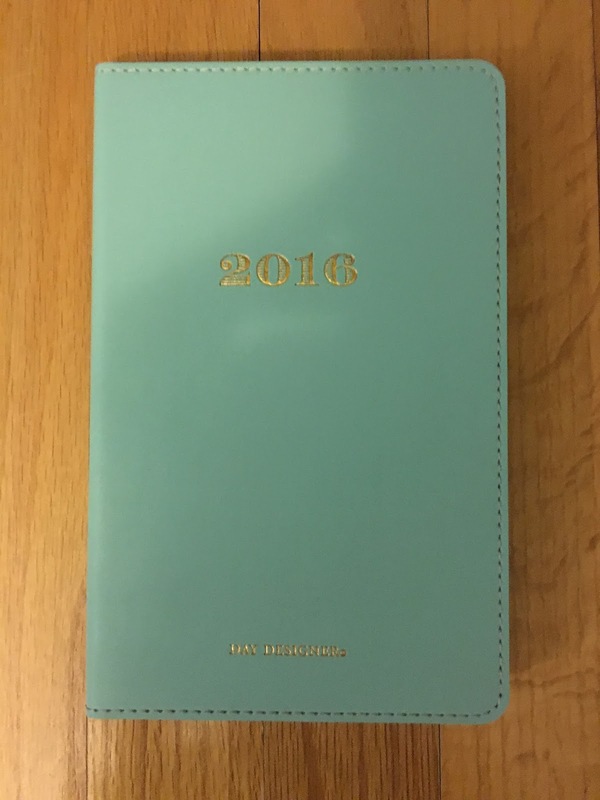 I really wish they would send calendars/planners a month earlier, because I already bought one for this year. 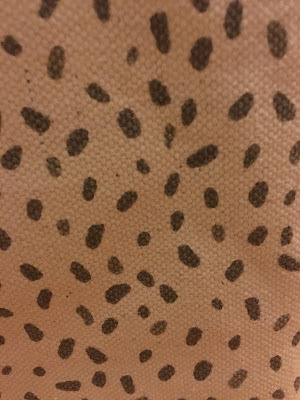 When I saw this in person I really liked it, so I'll be using this in my purse. It has lots of space to write on each day in the weekly sections, so this will help keep me organized! Plus I love the light blue color and simple design!!! 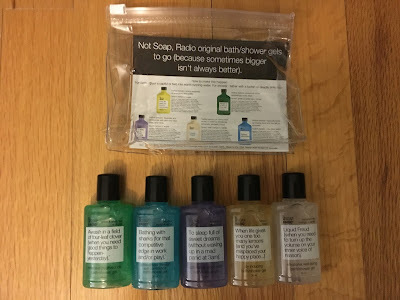 Also included in this month's box was Not Soap, Radio Bath & Shower Gel Gift Set. Retail price $22. I've tried these products in Birchbox before and they smell great! 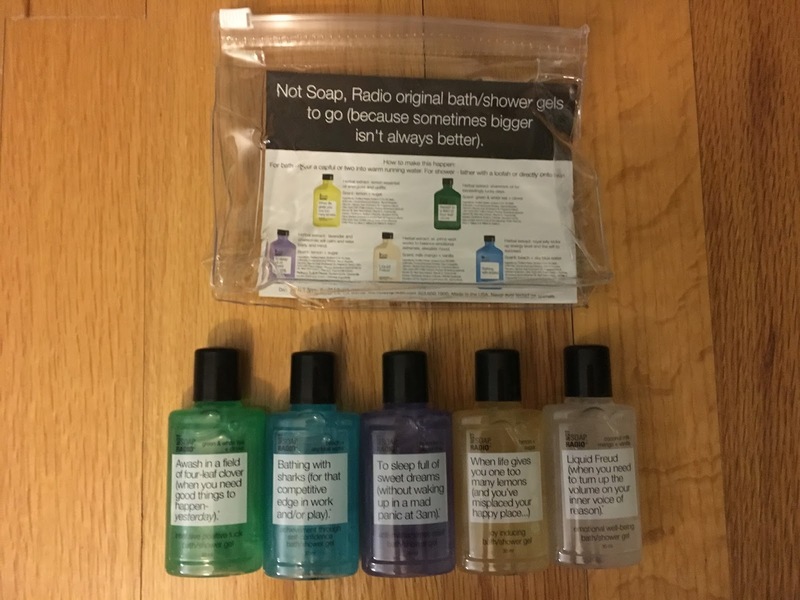 These are travel size bottles, so they'll be great for vacationing. I can't wait to try out all the different scents. Plus reading the sayings on all the bottles is always fun too! 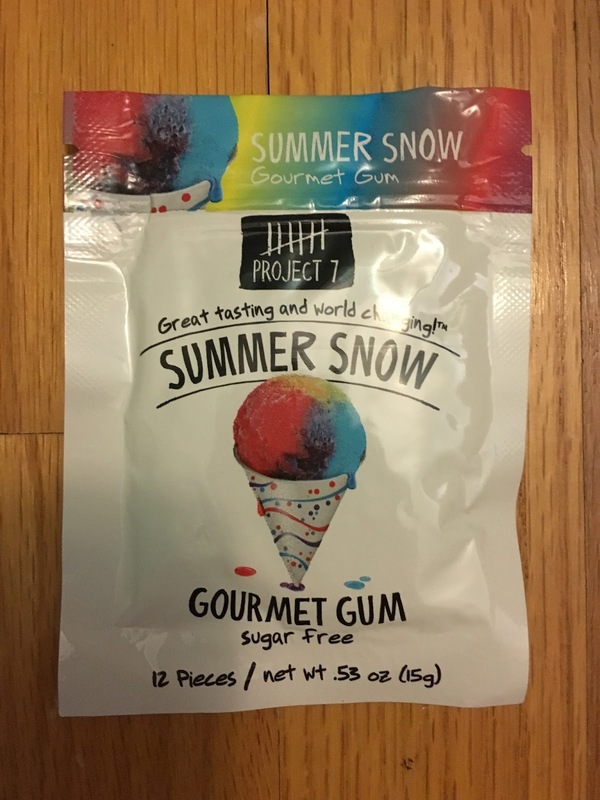 The final product included was Project 7, Inc Summer Snow Sugar Free Gum. Retail price $1.99. This gum looks so fun. I don't chew gum often, but I'll love keeping this on hand as a treat for my daughter and nieces! 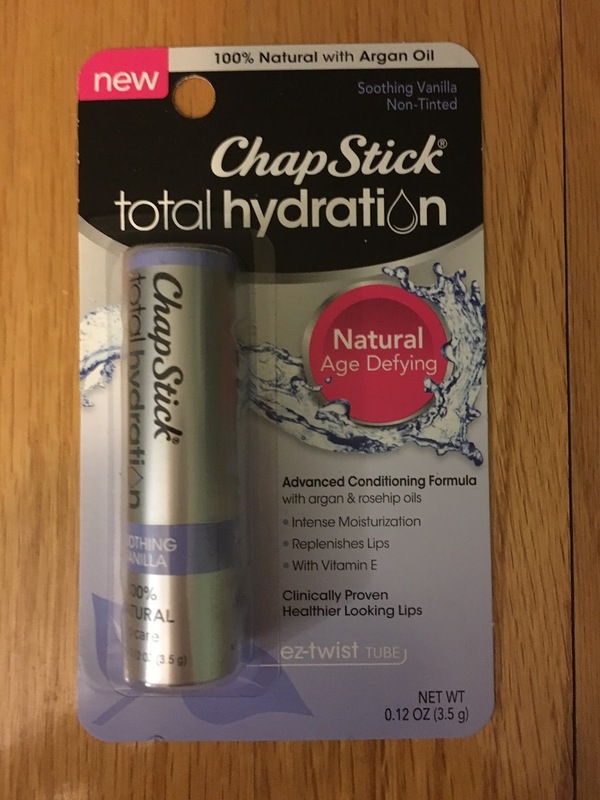 The special extra item included was ChapStick Total Hydration 100% Natural Soothing Vanilla. Retail price $2.99. I go through chapstick like crazy in the winter months, so I'm always happy to get more. Popsugar Must Have put out another great box this month. I will use everything, so that's always a plus. 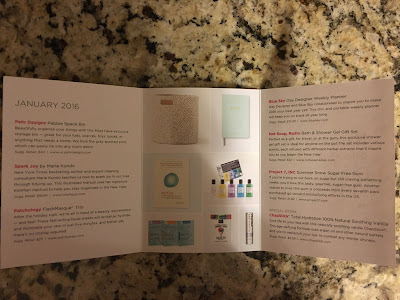 And I love the theme of this month's box, because I'm in an organizing mood. I'm kind of hoping they do a sweet Valentine's themed box for next month with a great treat! 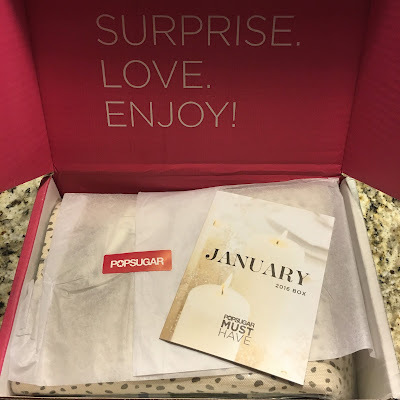 I'm always so excited to see what Popsugar sends each month.